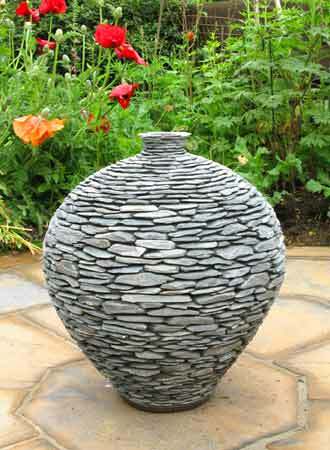 Chris Wheeler of Ivel Stoneware Designs has created a unique range of slate garden art including exquisite water features and planter pots. 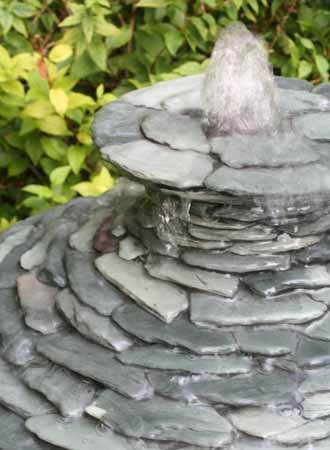 Each slate stone pot and slate stone water feature is precision crafted by hand from natural green slate. 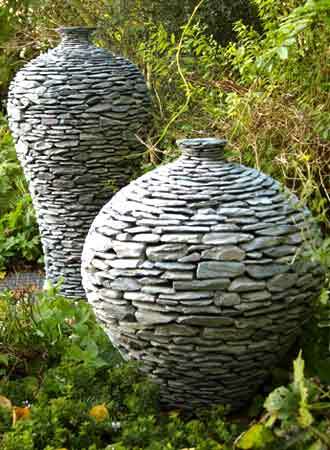 These stone garden pots and water features have a solid, quality appeal which looks stunning in both formal or natural garden settings. 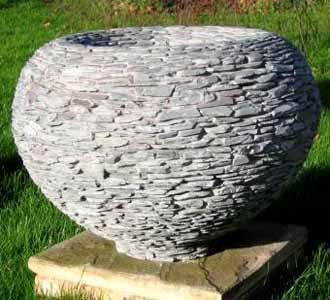 We supply slate stone garden pots, stone garden planters and stone water features to a diverse range of premises including many private home gardens, corporate building entrances, resturants, bars and many more. 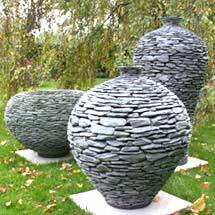 Please get in touch to order garden stone pots, stone planters and stone water features from Ivel Stoneware Designs. 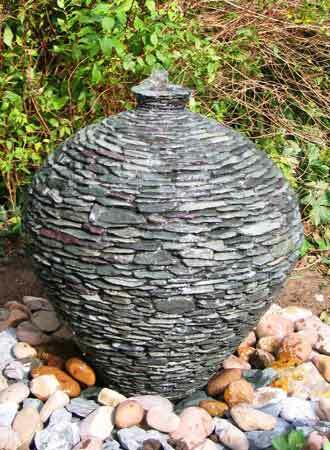 Large water features are pictured in the September issue of Home & Garden, take a look at the article PDF below. © Homes & Gardens Magazine, as featured in September 2011. 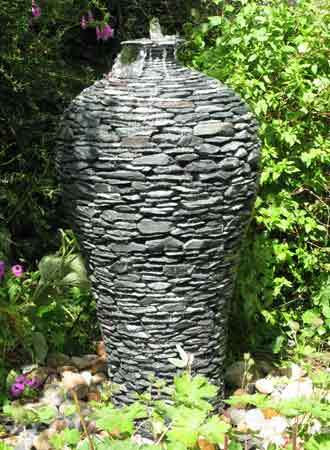 Click here to see how one of our water features was used in an innovative London town garden design.